Not long ago Daily Billboard showcased a whole raft of cool billboards from around New York City from a recent visit and here's an extra ad that really stood out. Conan O'Brien may not have been left unscathed by the whole scheduling debacle with Jay Leno and The Tonight Show on NBC, but it looks like he may have emerged with an even funnier chat show on TBS. 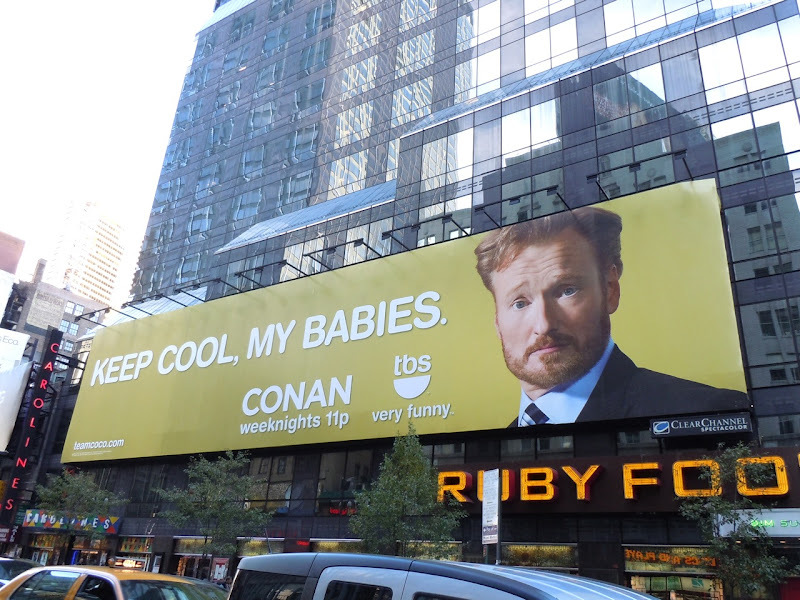 Don't you just love the simplicity and Conan's funny expression in this witty billboard snapped above Ruby Foo's restaurant in New York's Times Square on November 14, 2010. 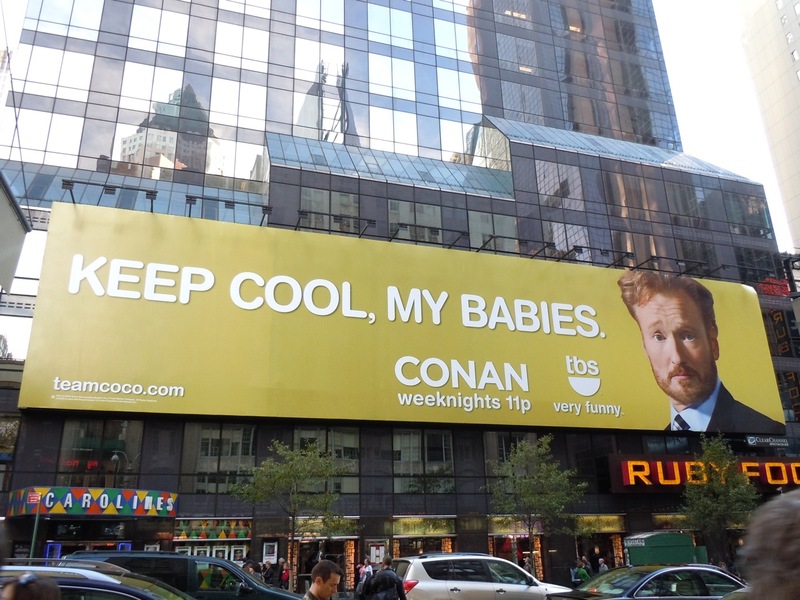 'Keep Cool, My Babies', indeed.